Judging process at Al Thani Award for Art Photography in Linz, Austria. Photo by Faizal / Mia Besari. As promised, I will share with you all detailed thoughts and things I learned about judging process, based on example of my experience as a juror at the Al-Thani Awards for Art Photography 2013. Why this one? This salon have had the number of entries close to 10,000, very high overall quality of entries, and was judged within a very limited time – two days – which as my colleagues-jurors confirmed – is now quite a standard procedure. We like it or not, high volume salons do not allow for much time spent on each image at the first screening, and rely on jury’s ability to quickly decide on the first round. So, this salon is a good example of a large-scale, very efficiently organized competition. There are a few points worth discussing, so let’s start with naming them here: 1) Stick to the theme of category you enter. 2) Select your best images AND make sure they have enough bang. 3) Try for your work to be original and unique. 4) Take your time to edit your images the best you can. Above points may seem obvious, but they are vital and I saw many entries clearly ignoring them. Even most tiny weak points could make the difference between the final “yes” or “no” for your image. Let’s begin with talk about the “Stick to the theme” aspect. While most photo competitions or salons have an “Open” theme – there are sometimes special or leading themes. They can offer you a higher chance of winning – IF you stick to these themes well. If you don’t – you may actually harm your chances of winning. At the Al-Thani Awards for Art Photography we had several categories, and a main, special theme. On top of Open Color Prints, Open Monochrome Prints, and Open Digital Images, the special theme was “Discovering the World”. If you think of it quickly, you may think it calls for travel or nature photos. But such themes need to be thought of a bit deeper if you hope to win. Keep in mind that in today’s world the number of photographs taken everyday, and number of people travelling are enormous. Therefore, to be better than other competitors you really need to show your creativity, understanding of the theme, and stick to it. We had thousands of photos to judge, and some fantastic images had to be rejected from the main category because they did not adhere to the theme. All jurors were reminded over and over by the chairman to think of the theme when voting. “Does this image help us discover the world, or shows us someone who really grasps something new in his understanding of the world?” – we were asked. And we had to take some tough decisions to select finalists and winners. We had to pick photos showing us the most unique and unusual places and situations, or action showing convincingly that persons on a photo really do discover the world. To give you some examples we faced – would you decide between a fine, artistic photo of a butterfly, a fine long exposure photo showing the grand canal in Venice, a small boy in a class learning geography with a globe, or perhaps a slightly less refined image of climbers on a remote, little known peak of exotic mountains? While all four did show us something from our world in an attractive way – we had to ask ourselves– is the butterfly photo really about “discovering the world”? Chances are you’ve seen many butterflies in gardens and on meadows, or at least on many nature photos. Therefore it is not a real discovery to most of us to see yet another butterfly – however lovely it is, and this would be the first image to go, despite its fine artistic qualities. Perhaps it would stand better chances in the “Open” category – a perfect fit for a Nature category. The shot from Venice can be most fine, but it is a cliché in a way – thousands of people shoot from the Rialto bridge the view at the grand canal, and while the submitted photo may show us a glorious sunset lighting and a well composed scene, it still does not have that sense of discovery the theme is calling for. So, this one had to go either. It would do in any Travel category, though. Now, between the studying boy and climbers – the boy’s face expressed a thrill at learning new things, one could see he tried hard to learn and remember something new about our world. The scene clearly showed the boy “discovering the world” in his small ways. The climbers were visibly exhausted, yet determined to reach the peak, to expand their limits and succeed in their quest. Not only that, but we all – looking at the photo – had a sense of learning something new, seeing some far-away, remote mountains –seeing their harshness through eyes of these climbers. Additionally, this shot was done from an unusual angle, giving us a different perspective than typical “calendar-style” mountain photos. So, this image both showed us people discovering something about our world, and also gave the viewer something fairly rare to discover. Conclusion? With first two photos rejected without even considering their quality, the voting would proceed on the two last images. Now it would be seen which one has a better composition, technical quality, and an overall story to tell. With not hundreds but thousands of images to select from, a jury has no choice but really stick to all rules and use these criteria to select best images without mercy. By sticking well with themes, you help jury consider your image and make yourself a favour. Another quick example – something we noticed a few times, and had to remove these entries. If you enter “monochrome” or “color” themes – know their definition. While a photo done all in tones of blue is a monochrome, adding even one more color to an image disqualifies it immediately. We noticed a few photos entered as monochrome, and they had a touch of extra color. Even if it is just a bit – it breaks the rules, and will have to go. And, believe me – it will be noticed. If not at the first selection, then when discussing the potentially winning images. An unfortunate reason to remove good photos. Most of best international photo salons have paid entries these days, and you would be surprised how many people pay to enter, only to waste their chances by not taking real care about themes. Consider this, and you are already better than them, a step closer to winning. Thank you for reading. Part 3 is coming very soon, please Follow and Like this blog, if you find it helpful. HERE IS DIRECT LINK TO PART 1 of this article. 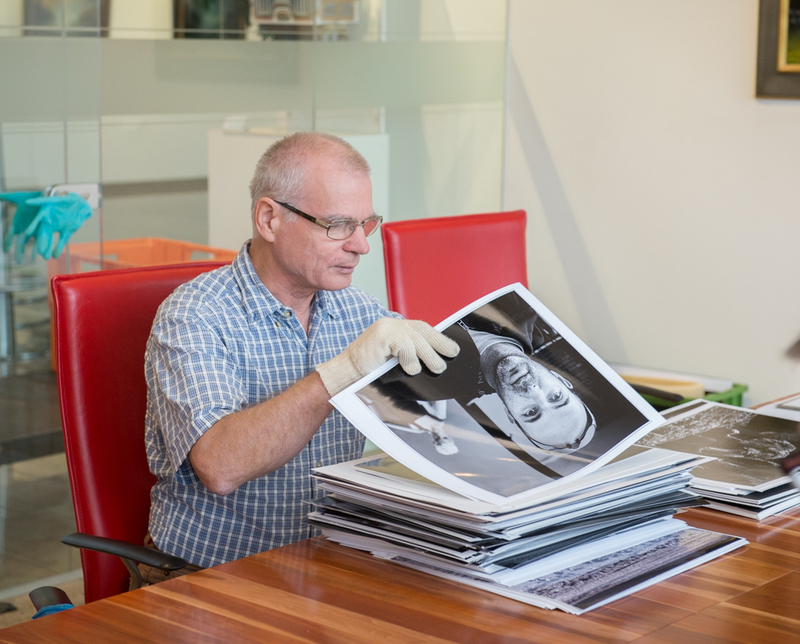 Sorting photo prints for judges. Very useful tips, thank you Derek! Thank you for your kind words. more to come later today and in couple of days. Cheers! I am glad I can share what I learned. Thank you!